Time until Hexion release day! Originally made in 1990 by David Markley under the name of Hextris; Hexion is a game released in 1992 by Konami. 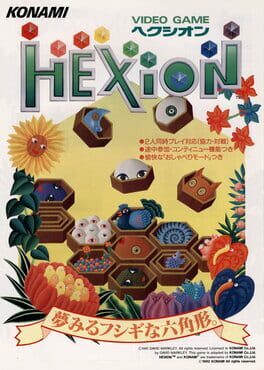 Hexion is a puzzle game in the Tetris style; except instead of shapes made out of square blocks laid evenly on a flat surface, the pieces are shapes made out of hexagon blocks laid roughly on an uneven surface. The core goal is still the same; create a horizontal line without leaving gaps.